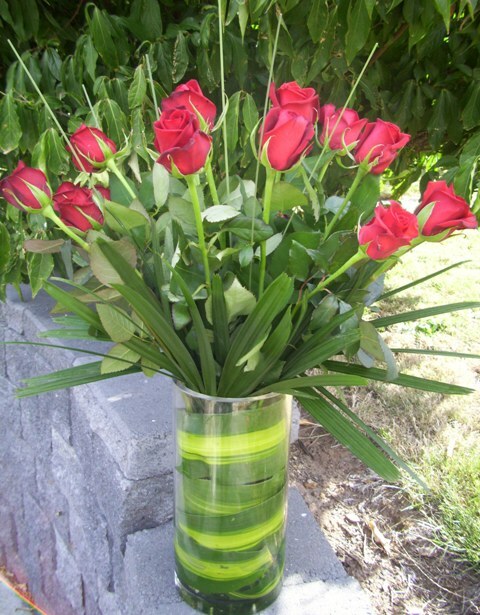 12 Premium Long stemmed Red Roses with foliage presented in vase. This arrangement of 12 premium long stem red roses is sure to impress that special someone. They are beautifully presented in a glass vase.